You may not remember where you were on March 20, 2000, but it’s a very safe bet that a man named Michael Saylor does. More than 14 years later, and it’s likely still fresh in his mind, because it’s not every day that one incurs what is the greatest single-day hit to personal wealth in capital market history. That day, as the CEO and majority shareholder of software company MicroStrategy Inc., whose clients now include Facebook and Starbucks, Saylor lost $6.1 billion of his reported $15 billion fortune. Saylor’s historic loss was a result of MicroStrategy’s price per share freefalling $140 in a single day after the price fell to $86.75 from the previous day’s close of $226.75. The stock price’s sharp decline was the result of a major restatement of MicroStrategy’s earnings. The net income numbers that investors had fallen in love with in 1998 and 1999 were actually losses, and the eraser was put to $66 million of the $350 million revenue for the same period. It may be expected that this triggered an investigation by the Securities and Exchange Commission, ultimately leading to a settlement for both the company and the executives (for the officers, it was the then-largest individual fine in SEC history not involving insider trading). For almost every other dot-com company, a stock price drop like that would not have stopped; add in the SEC settlement, and you have a tried-and-true recipe for bankruptcy. However, unlike many of the dot-com era’s highfliers that failed to generate revenue, MicroStrategy is not only still in business, but is growing and turning profits. For his part, Saylor not only survived civil accounting fraud charges brought about by the SEC, but is still the chief executive. Notwithstanding the one-in-a-million survival tale, investors would do well to keep their eyes peeled for Saylor. For instance, consider some of the obscure details buried on page 32 of MicroStrategy’s recent proxy, one of which allows Saylor the right to incur just less than $1 million annually in security expenses, enough – seemingly – for a head of state, but not the head of a company peddling Business Intelligence Software. Last year, Saylor incurred $23,831 in security expenses, according to the proxy statement. He was also subsequently reimbursed an additional $52,000 for security services and equipment in the fourth quarter of 2013. Although, according to page 3 of the SEC’s EX-10.3 for MicroStrategy, the total could be as much as $58,000 after an additional $6,000 of other security expenses. 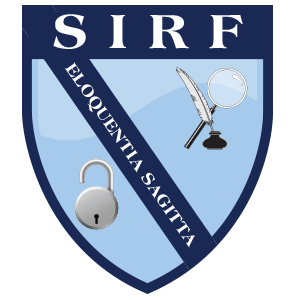 From what the Southern Investigative Reporting Foundation can surmise, MicroStrategy and Saylor are in a universe of one when it comes to security expenses, especially when the nature of the company’s work and the size of the enterprise are factored in. According to Peter Rogers, the co-founder of FrontPoint Security Services, which was ranked as the best home security system by Top Security Systems in 2013, this level of expense is virtually unprecedented. He said any 24/7 video surveillance system that costs more than $2,500 per month would be “remarkably expensive” for the company when compared with other home security systems. “There are homes that we protect for U.S ambassadors, major league athletes and entertainers, and they’re perfectly happy with what we provide,” Rogers said. While security expenses among Fortune 500 CEOs have been reported to be rising, MicroStrategy’s policy puts it among some of the anchors of the American economy. For instance, Intel’s 2013 proxy statement to the SEC noted that the giant chipmaker paid $58,600 in home security expenses for former CEO Paul Otellini, while AT&T’s CEO Randall Stephenson’s security expenses totaled $101,923 for the same period. Among the broad peer group suggested by Google Finance, only Tableau Software and Qlik Technologies — both of which are also in the business intelligence and analytics software field — appear to have proxy disclosures that compare to MicroStrategy. Tableau’s proxy does not explicitly reference security expenses, but does mention that CEO Christian Chabot is “also eligible for reimbursement of certain personal household expenses, up to a maximum of $25,000 per year,” according to page 25. Qlik’s proxy notes that CEO Lars Björk’s employment agreement had provided for certain unspecified living expenses up to $75,000 per year, according to page 47 of the statement, but the benefit was eliminated after a 2011 salary increase. MicroStrategy’s line of services and software appear to have few of the telltale risks that other businesses incurring high security costs have: sensitive national security products or having offices and a client base heavily concentrated in risky foreign locales. Nor is Saylor, according to real estate records SIRF examined, likely in much danger at his tony Georgetown townhouse or during the 12.5-mile daily commute (one way) to the company’s Tysons Corner, Va., headquarters (for which he was reimbursed $29,000). SIRF asked Paul Hodgson, an executive-compensation specialist at the governance consulting firm, BHJ Partners, his opinion of the security expense provisions. “My perspective, and that of many shareholders, is that if it’s a personal benefit, then the CEO – who is already highly paid – should be paying for it himself, rather than the shareholders,” Hodgson said. There are other benefits to being the CEO of MicroStrategy. In 2013, Saylor’s use of the company’s aircraft totaled $737,469, albeit with “non-business” use of the company jet limited to less than 200 hours a year. When not airborne, Saylor racked up $116,670 worth of expenses in the company’s vehicles and $99,244 in alternative car services, according to pages 33 and 36 of the proxy statement. (“Alternative car services” was defined as “services of one or more drivers for vehicles other than a Company-owned vehicle.”) While these benefits are not illegal, according to SIRF’s research they are indeed uncommon among midsized and even some Fortune 500 companies. Shareholders may turn a blind eye to Saylor’s exorbitant lifestyle, but the array of perks MicroStrategy’s board signs off on gives every indication of contributing materially to the bottom line. Consider that in 2004, the company’s operating margin was just less than 30 percent; last year, it was 3.3 percent. The company’s general and administrative costs – the corporate overhead account that addresses standard business expenses, including perks – was more than $104 million in 2013. According to SIRF research, this was more than twice as much as that of software companies with similar revenue. While a host of factors can influence profitability measures, software and analytics enterprises are often popular with investors because of their generally larger margins. One likely culprit in the weaker margins is the 2007 purchase of a $46 million Bombardier jet, and nearly $1.4 million of NetJets expenses he racked up in 2010 and 2011 when a February 2010 blizzard collapsed the roof of the Bombardier’s airplane hangar. Some of Saylor’s other benefits include $2,410 for a business club membership, $65,000 in tax advisory fees to file foreign entity tax forms, and $5,269 to sublease office space for a pair of companies Saylor owns, Aeromar Management Co. LLC and Alcantara LLC. Aeromar happens to be the parent company of Fleet Miami LLC. Fleet Miami LLC is a luxury yacht charter business founded by Saylor and, according to its website, offers nine yachts to customers. To be sure, eye-opening expense is somewhat of a MicroStrategy tradition, according to a 2002 Washington Post article that mentioned the dot-com era Caribbean cruises for all employees. Caribbean cruises appear to be just a drop in the bucket for Saylor’s Gatsby-esque lifestyle from the looks of his luxury mansion in Miami Beach, Fla., Villa Vecchia. Saylor’s 18,000-square-foot mansion with 13 bedrooms and 12 bathrooms is the hot spot for many of his partygoers. It is also home to his yachts, Usher (formerly known as Mr. Terrible), Harle and a third, one of which will be featured in the upcoming Entourage movie. A major concern brought up by Apex in its letter to the board is MicroStrategy’s lack of any conference calls with shareholders for almost 10 years. (Recently, however, the company staged a series of meetings with shareholders in New York City). Over the course of one week, SIRF attempted to secure MicroStrategy’s comment for this article by leaving voice mail messages in the company’s press relations mailbox, but no calls were returned as of press time.